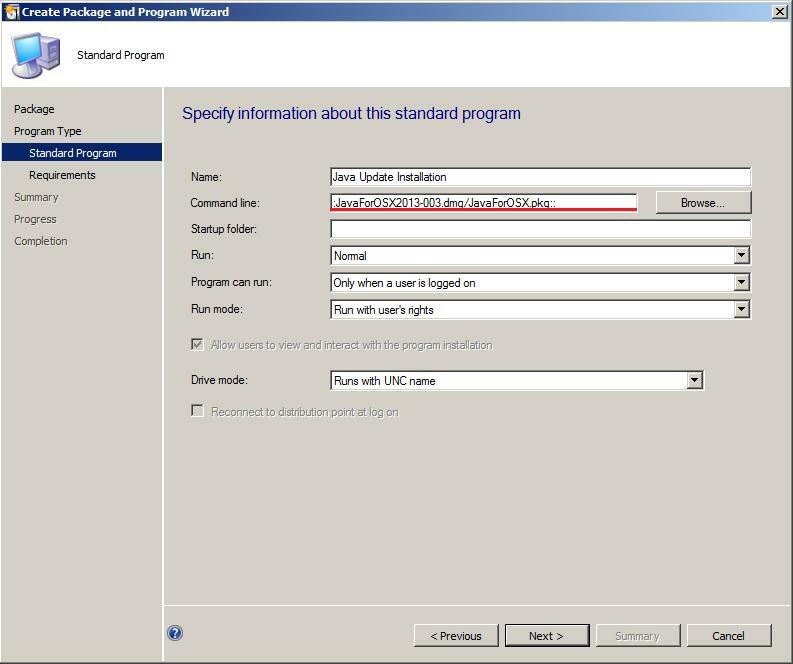 Mac OS X patches can be installed using the Software Distribution feature of Parallels Mac Management for SCCM. 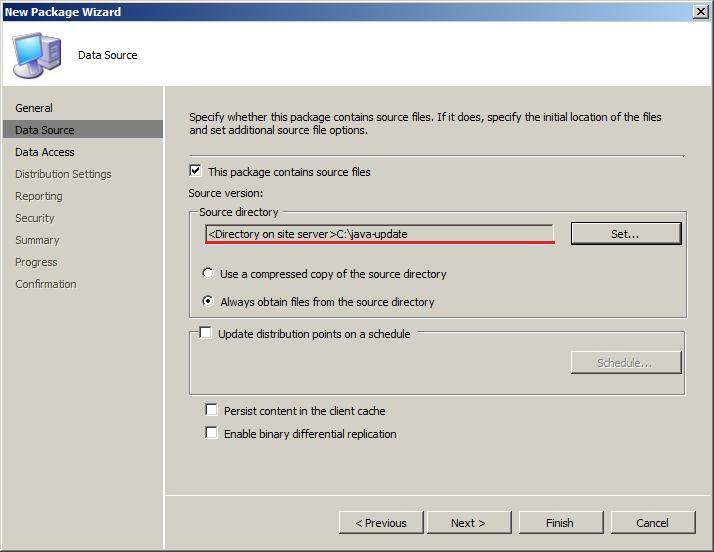 Detailed instructions on how to use the Software Distribution feature can be found in the Software Distribution section of the Parallels Mac Management for Microsoft SCCM 2007 or the Parallels Mac Management for Microsoft SCCM 2012 administrator’s guides. 1. 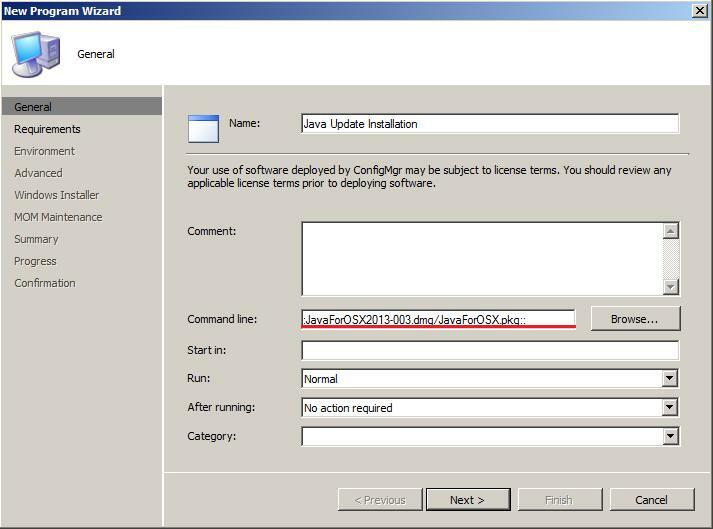 Download the JavaForOSX2013-003.dmg image from https://support.apple.com/kb/DL1572 and copy the file to a folder on the Configuration Manager site server. 4. 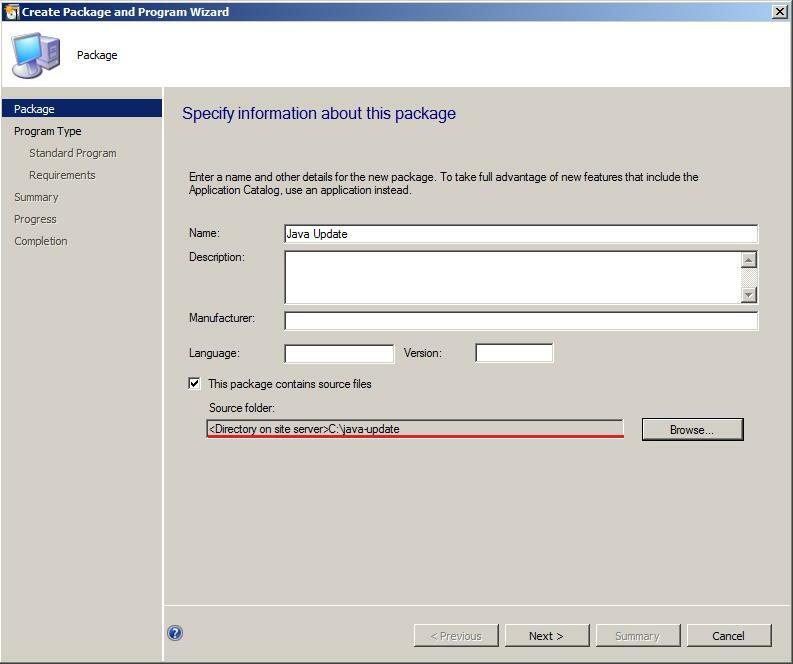 Finish creating a package as described in the Software distribution section of the Parallels Mac Management for Microsoft SCCM 2007 or the Parallels Mac Management for Microsoft SCCM 2012 administrator’s guides. Mac OS X software can also be updated using the Mac OS X softwareupdate command. Create a script file with the “.sh” extension containing the softwareupdate command and options. You can then deploy the script to Mac OS X computers using the Software Distribution feature of Parallels Mac Management (see https://kb.parallels.com/en/116186 ).